15 Vegan Salad Dressing Recipes! 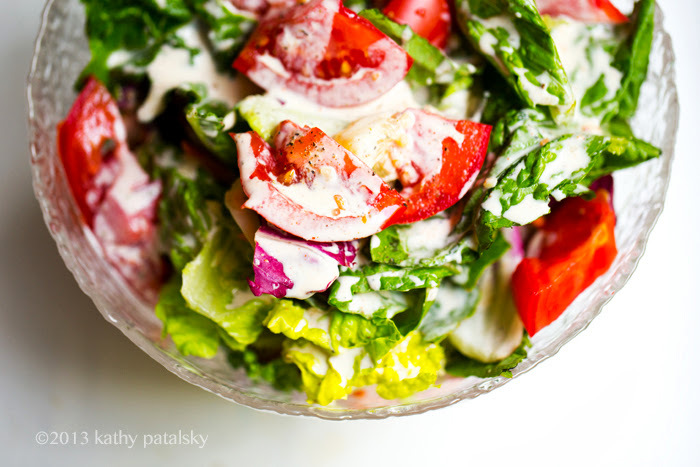 Truth: Salad dressing has the ability to make or break your salad. So instead of putting your faith in a bottled, pre-made concoction, you might want to put the fate of your salad in your own hands and whip up a homemade salad dressing. Here are 15 of my personal favorites to choose from! In-Season. Summer is sort of the unofficial "season of salad." 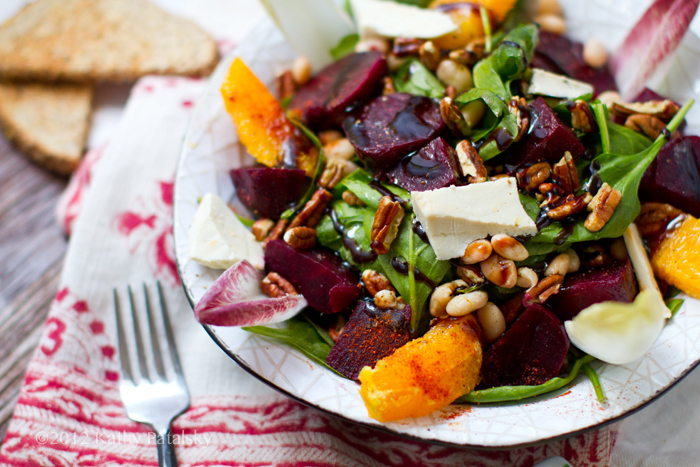 Warm weather and dry sunny days leave us easily craving cool, crisp, fresh, healthy salads. Instead of turning on your oven or slaving over a hot stove, just reach into your fridge and create a chilled out meal filled with colorful, diverse ingredients like greens, chopped veggies, fruit, legumes, nuts, seeds and grains. And a drizzle of amazing dressing on top. Summer salads remind us that salads do not have to be thought of as "starters or sides," but have the ability to be the main event of the meal. 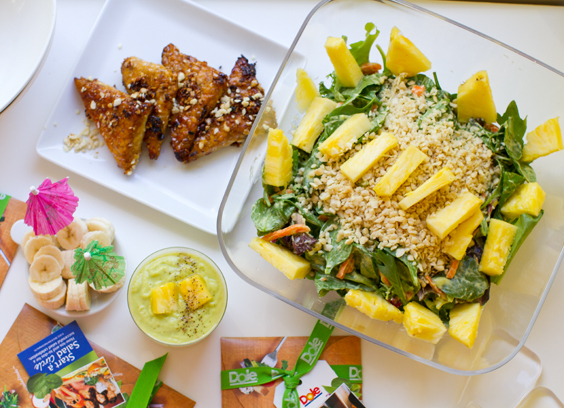 Summer is the perfect time to perfect your "entree salad" creations. What is the Dressing? Whenever I post a photo of one of my dinner salads on Instagram the most common question I get is "what is the dressing?" It seems that most people know how to throw ingredients in a bowl, but sometimes salad dressings can seem mysterious or challenging to us. So this post will hopefully give you insight into a few of my favorite go-to salad dressing recipes. Go-To Dressing Inspired. 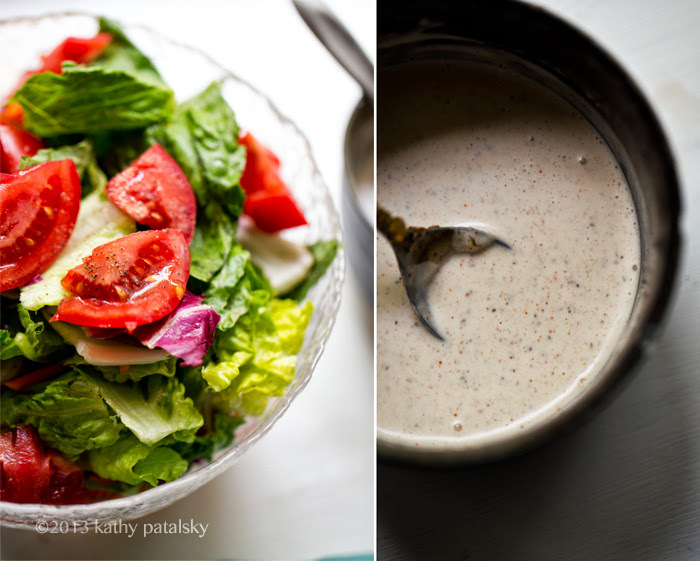 Last week I stumbled on this fabulous article by The Kitchn: 5 Salad Dressing to Know by Heart. And I was so inspired by the article that I wanted to do my own go-to recipe guide, only my version uses vegan ingredients. And I added more recipes because, quite frankly, I couldn't settle on my five faves. 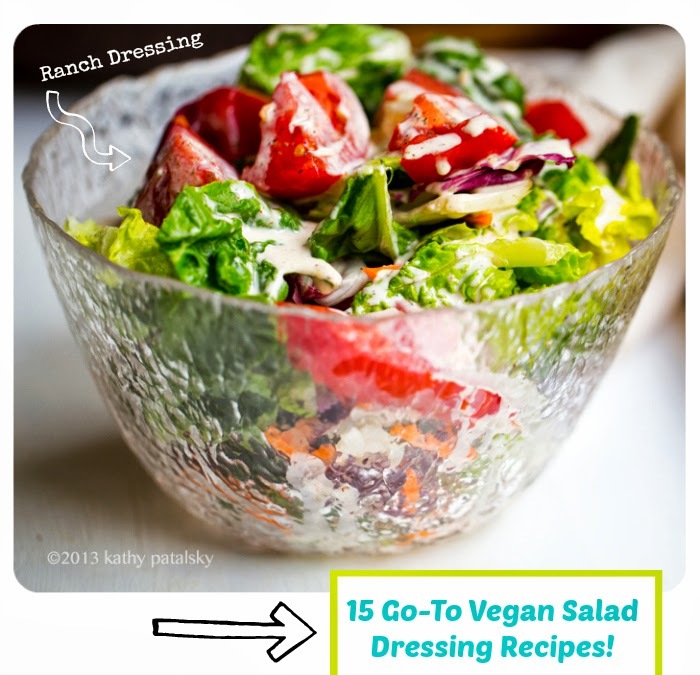 Get my 15 Go-To Vegan Salad Dressing Recipes for summertime, and all year long.. The most important thing to remember when reviewing these recipes below (and when prepping your dressing in your kitchen) is that every single recipe is modifiable. Aka, tweakable. You should always make your salad dressing to taste. The key is to start with a few basic ingredients and add them in amounts that create your perfect dressing. 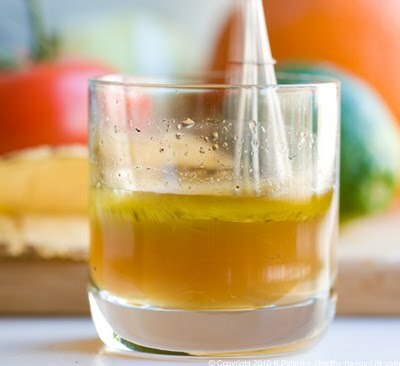 Some people like their dressing lower in oil/fat and higher in zippy ingredients like vinegar and citrus juice. Others like very silky, high fat dressing, more vegan mayo - more oil - more tahini. Some like very basic ingredients without too many herb and spice accents, while others like to add copious amounts of dried spices and freshly chopped herbs. After a while of whipping up homemade dressings, you will know exactly what your perfect ratios of ingredients are. Use my recipes as a guide, as inspiration to springboard off your cutting board and create your own fun and fabulous salad dressing recipes. So grab your salad bowl salad lovers, and lets get started! 1. (Easy) Creamy Ranch. This one is pretty easy to make once you have one base ingredient: vegan mayo, aka Vegenaise. You can season it with a variety of dried spices or freshly chopped herbs. Freshly ground black pepper, garlic powder and freshly chopped herbs are my favorite add-ins. This specific recipe is my easy-Ranch dressing. Minimal ingredients so I can just blend and drizzle in a flash. Directions: Whip together ingredients. For ultra creamy texture, process until smooth in a blender or food processor. Serve on: Choose crunchy, hearty greens like chopped romaine, butter lettuce, radicchio, endive and more. To serve ranch dressing on more delicate greens like spinach and arugula, thin the dressing out a bit so it doesn't wilt the greens. Chopped veggies like onion, carrot, cucumber and celery pair deliciously with creamy ranch. Tomatoes, chopped apples and a variety of beans like chickpeas and kidney beans pair well with ranch. 2. Balsamic EVOO. I use balsamic vinegar in quite a few recipes. I love the sassy sweet flavor and rich, creamy texture and dark color. Aged balsamic is a kitchen treasure. Blasamic glaze is also a fun ingredient to try. And a basic balsamic + EVOO dressing is about as simple and fool-proof as it gets in the world of salad dressings. This classic Italian-inspired dressing is simple to make. Just combine about equal parts of balsamic vinegar and extra virgin olive oil, plus some optional added spices like black pepper, freshly chopped garlic or basil, red pepper flakes or dried oregano if you'd like. 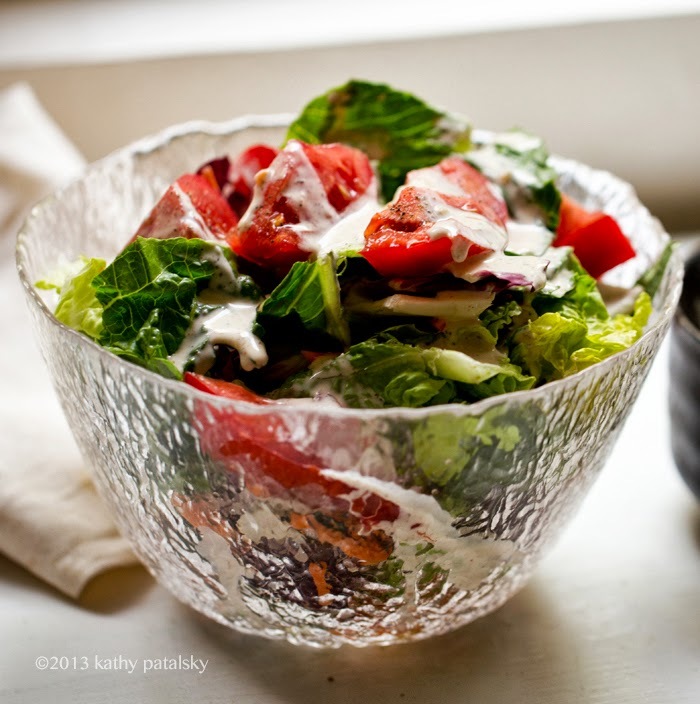 Whisk together briskly and toss with your salad greens. optional: black pepper, oregano, chopped parsley or basil, pinch of vegan Parmesan cheese. Serve on: I like to serve this dressing with crispy robust Italian salads that include freshly chopped romaine, juicy tomatoes, onion slices, kalamata olives. But this dressing also goes very well tossed with spinach or baby greens. Since this is a thin dressing (not creamy) I prefer to toss with my greens to serve as opposed to drizzling over top. 3. Tahini Maple. This is probably my all around favorite go-to dressing. It is rich and creamy with a bitter-sweet, nutty flavor and creamy texture. Easy to whip up in a few seconds, yet totally complex and unique enough to make your salad feel extra-special and fancy. Directions: Whip briskly with a fork or process in blender for extra creamy texture. 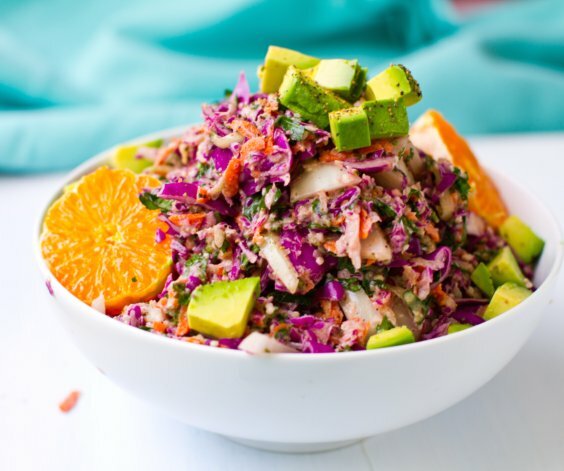 Serve on: This dressing goes well on heartier salads like raw kale, raw chard, chopped romaine, shredded cabbage/slaws and chopped firm veggies like carrots, celery and onion. If you use it on more delicate greens, use minimally so it does not wilt them too much or make things soggy. This dressing is delicious on a raw massaged kale salad. 4. Curried Dressing. Adding curry powder to a wide variety of foods changes the flavor instantly. Suddenly your ingredients are infused with warm, smoky, spicy curry flavor. 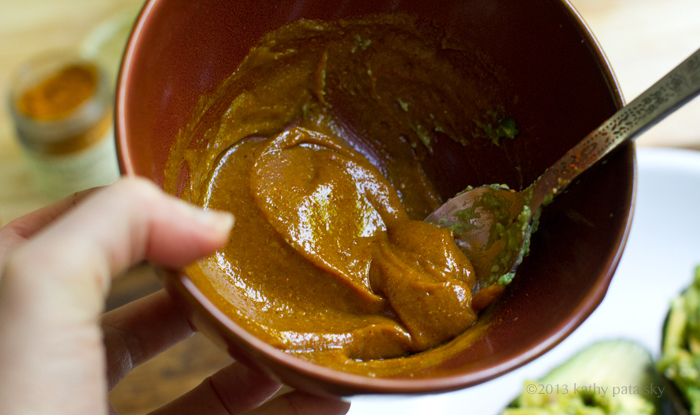 I love adding curry to sweet tahini dressings. This is my favorite, I used it in my deviled avocado recipe below..
**add a bit less maple syrup if you do not like your sauce too sweet. Directions: Stir together until creamy. Serve on: Hearty veggies like chopped carrots, shredded carrots, slaws, cabbage, onion, grains like rice, tofu cubes, beans and more. 5. 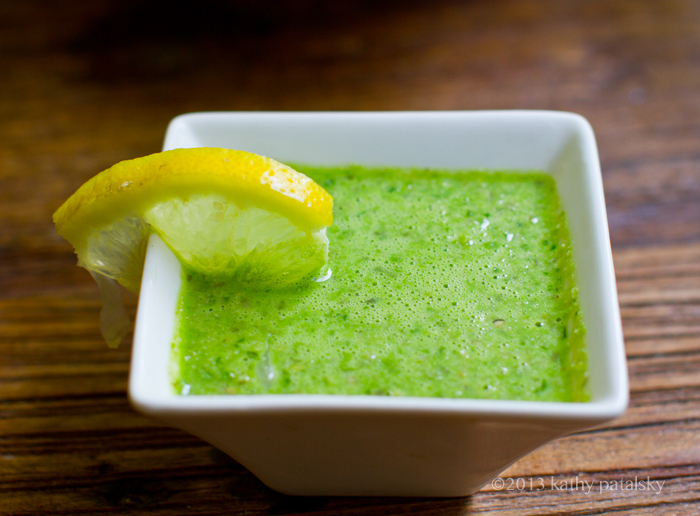 Green Goddess This popular dressing can be prepared so many different ways. Thin and vibrant or rich and creamy green. I like my green goddess dressing a bit creamy, bold and with plenty of fresh green herb flavors. For this recipe, I use a creamy avocado and plenty of fresh parsley. Fresh dill, cilantro, chives or basil are also options. Directions: Roughly chop your fresh herbs. Add all ingredients to a blender or food processor, blend until smooth. Serve on: Sturdy greens like chopped chard and kale. Crisp greens like romaine and iceberg. Even spinach and nutty mixed baby greens mesh well with this dressing. Chopped veggies, fruit, nuts, grains and seeds love this dressing. 6. No-Honey Mustard. Sweet and slightly creamy with some serious tangy mustard flavor, this lovable dressing is a favorite. 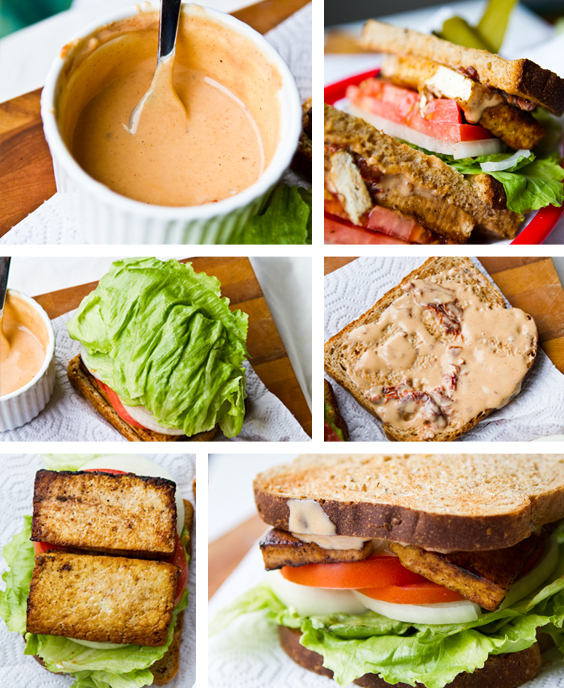 I use a splash of orange juice to thin out a bit, but you could add some vegan mayo to make things "creamy" instead. Whole grain or Dijon mustards work best. I wouldn't advise using the bright yellow variety of "hot do mustard." Directions: Whisk ingredients together briskly. Serve on: Baby greens, spicy mixes, arugula, or crisp lettuces like romaine that have been well chopped. 7. Spicy Peanut. I adore peanut dressing. I like mine a bit spicy and creamy. You can use peanut butter for the creamy nutty base and add accents like tamari, ginger, brown rice syrup, miso and spices like pepper and cayenne. These Asian-inspired flavors are delicious served warm or chilled. Directions: Process in a blender or food processor until smooth. If needed, warm peanut butter in microwave to soften. Serve on: Peanut dressing goes so well on wilted or raw kale salads, rice, tofu, stir-fry veggies and more. It also goes well on noodles like soba and udon. Serve dressing warm or chilled. Directions: Blend until smooth in blender or food processor. 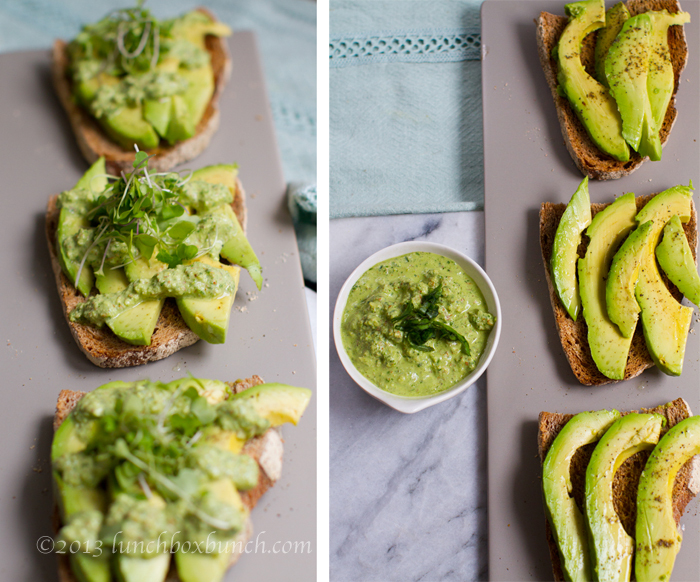 Serve on: Avocado dressings should be served right away so that they do not brown. They are creamy, yet very light and fluffy so you can serve them on anything from hearty chopped romaine to spinach and warmed grains. Delicious with nuts, beans and a wide variety of chopped veggies. Mexican-inspired ingredients like tomato, onion, corn, jalapeno, rice and beans pair especially well with avocado dressings. 9. 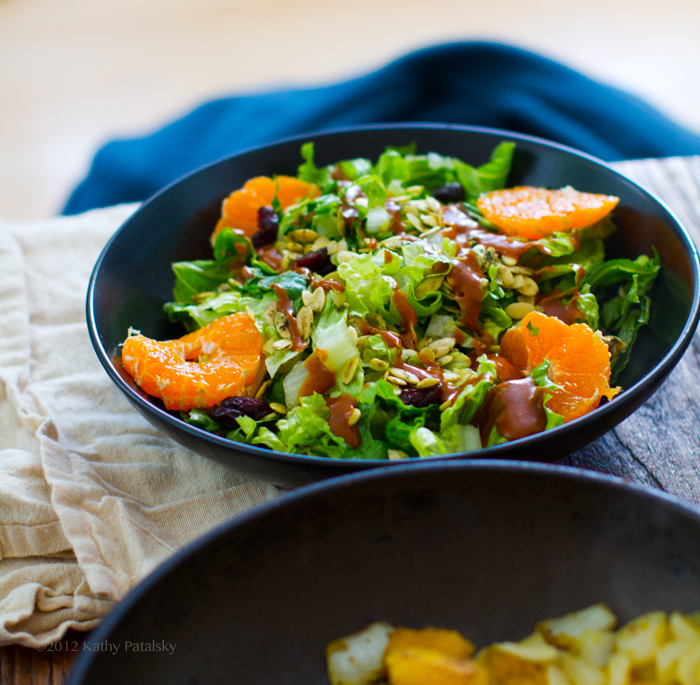 Simple Maple-Lemon Dressing. Combining maple with lemon is one of my favorite ways to create a fast, flavorful salad dressing. Lemon provides a bright burst of flavor while maple slowly mellows out the lemon in a dreamy, caramelized sweet way. Add oil to soften the flavor even more. You could easily make a dressing by using simple maple + lemon + oil + spices. But here is another version of lemon meets maple.. Directions: Whisk briskly. Serve room temperature or chilled. Serve on: Anything! It works very well on delicate greens like baby lettuces and spring mixes or chopped spinach or arugula. Greens that absorb the thin texture well. 10. 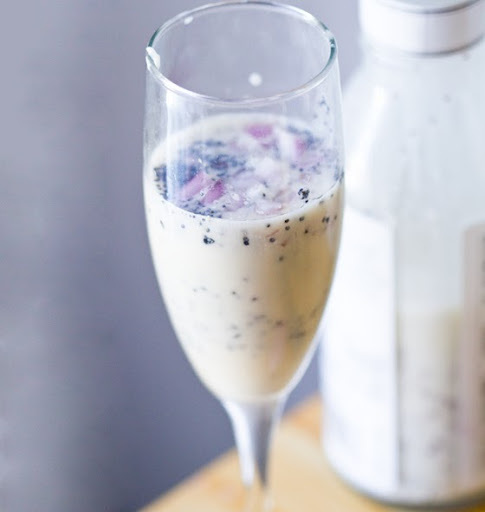 Creamy Sweet Poppyseed. If you love poppyseed dressing, all creamy and slightly sweet with undertones of garlic, shallot and cider vinegar, this dressing is worth a try! Directions: Finely chop the shallot and combine all ingredients in a small bowl. Whisk until smooth. Chill in the fridge for at least 20 minutes for best flavor. Serve on: I love this dressing drizzled over top delicate yet hearty spring greens like a winter or spicy mix with frisse, baby lettuce and radicchio. I also love it paired with sweet tart fruit like green apple and citrus. Also delicious with pecans, walnuts and nutty grains like quinoa. 11. Tamari, Rice Vinegar and/or Miso Dressing. White miso paste, rice vinegar and tamari, maybe some ginger too. Those Asian-inspired flavors can whip up a wide variety of delicious salad dressings. Add some agave or maple for sweetness, a splash of oil for richness and enjoy the savory, nutty and sweet flavors that develop. For heat and spiciness you can play around with fresh grated ginger root, pickled ginger or wasabi powder! Directions: Whisk briskly or blend. Serve on: Arugula, winter greens, shredded cabbage and carrots. 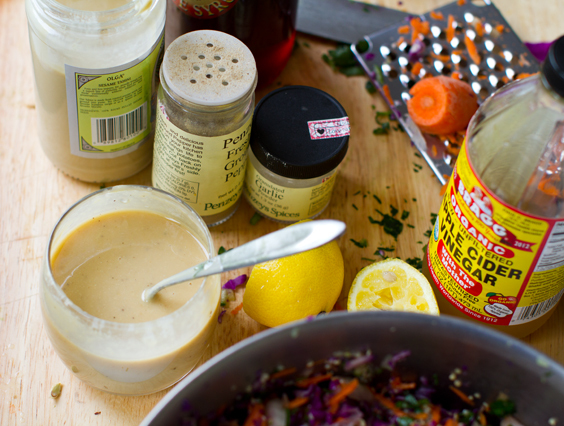 The miso maple dressing above is my favorite for tossing with shredded cabbage, crunchy shredded veggies like carrots and other crisp veggies like green onion, celery, cucumbers, fruit like chopped apples, seeds, chopped nuts and more. 12. Sweet Spicy BBQ Dressing. This dressing can be very labor-intensive or super easy. The trickier version involves making homemade BBQ sauce. The easy version involves simply blending a bottled BBQ sauce with some oil and vinegar or citrus to thin out to a salad dressing consistency. 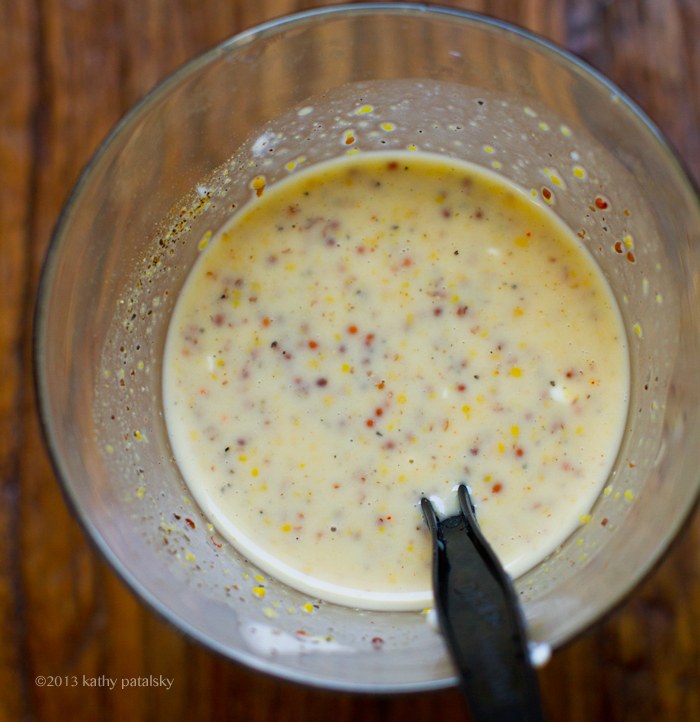 This dressing is smoky, bold and fun for a summertime BBQ salad. Directions: Whip together until smooth. 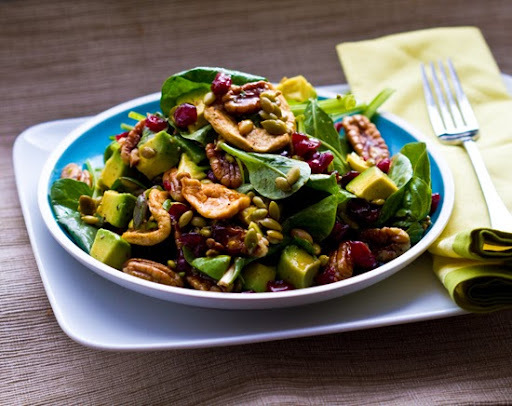 Serve on: Hearty salads including chopped romaine, sturdy dark spinach and arugula greens, beans, grains, veggie proteins like "chick'n" and tempeh. Various chopped veggies and fruit like citrus and apples. Also delicious as a marinade on tempeh or tofu and for sandwiches. 13. Creamy Hummus. Hummus-based dressings provide an easy way to make creamy, healthy dressings. They have a nutty bean base which makes them uniquely rich in fiber and legume nutrients like protein. 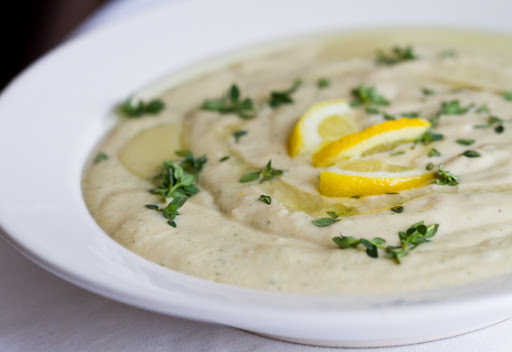 Simple to get creative with, you can choose any flavor hummus you'd like and simply add a few ingredients like citrus juice, oil or vinegar to thin out the texture. I love using lemon and orange juice. Cider vinegar can also be used. If you like a hint of sweet, add some agave or maple syrup too. Directions: Whip or process ingredients until smooth and creamy. Serve on: Sturdy crisp greens like romaine. 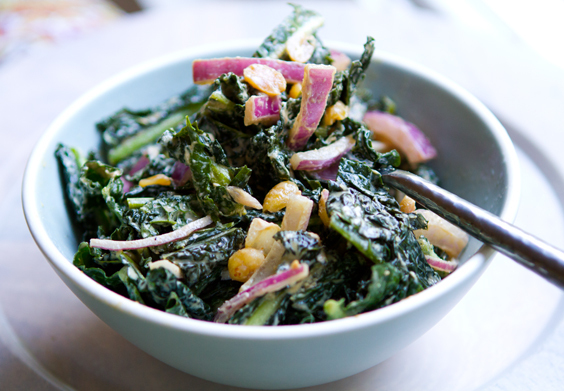 Light yet savory greens like spinach and chard. Most veggies will pair beautifully with this dressing. Try chopped onion, diced cucumber, tomato, black olive and more. 14. Lime Agave. Zesty and sweet, this Mexican-inspired dressing has tangy lime flavor blended with sweet simple agave syrup. Add jalapeno, cayenne or chipotle spices for heat. Directions: Whisk briskly. Adjust amounts to base ingredients to taste. More or less to create sweet, bright or rich flavors. Serve on: A wide variety of crispy and delicate greens. Beans like pinto also pair well. 15. Pesto Dressing. You may think of pesto as a common pasta sauce, but it can also work as a salad dressing when thinned out properly. The mixture of fresh basil, lemon, oil and ground nuts or seeds is simply dreamy and cravable on top of greens or chopped veggies. You can even drizzle over top grilled veggies like zucchini or eggplant. Make your pesto spicy by adding jalapeno, raw garlic or red pepper flakes. Directions: Process until smooth in a blender or food processor. Serve on: Crisp or shredded greens like romaine, grains, chopped crisp veggies or delicate greens like spinach. If using on delicate greens, use sparingly so you do not over wilt the greens. Pesto goes well with sweet fruits like mango, citrus and grilled apricot or peach. Grilled veggies love pesto dressing too! 16. Creamy Chipotle. This super simple recipe uses the creamy power of vegan mayo and the bold spicy flavor or dried chipotle powder. Versatile and dreamy. Slight sweetness paired with heat. Directions: Blend until creamy and light creamy orangish-white in color. Serve on: Crispy greens like romaine. Use in wraps and sandwiches. 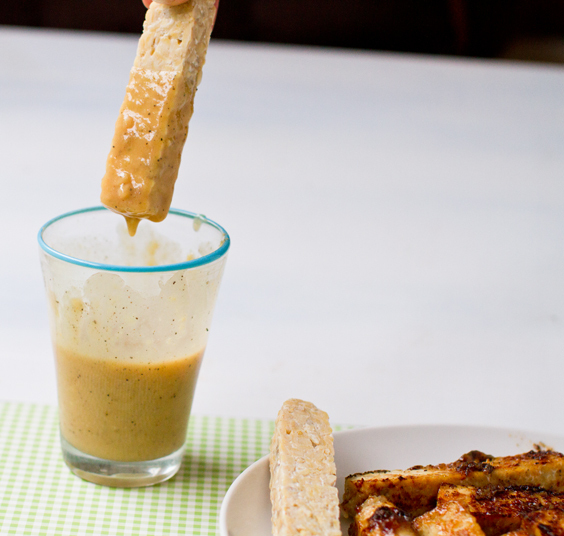 Bonus Sauce/Salad Dressing: cashews make an amazing creamy base for sauces and dressing. Try my Cashew Smother Sauce for burritos and get creative to turn soaked cashews into creamy salad dressings. Stay tuned! I want to keep this "dressing page" updated as I experiment with more vegan salad dressings. I still want to add a Vegan Caesar and a Vegan ChimiChurri Dressing. If you have any other dressings you would like to see here please let me know!